Hey! You know what’s cool again?? Okay, so I don’t know if they’re cool with EVERYBODY, but they’re cool with me! I saw a post the other day on The Purl Bee, that featured old school macraméd friendship bracelets and I decided I had to make some immediately. 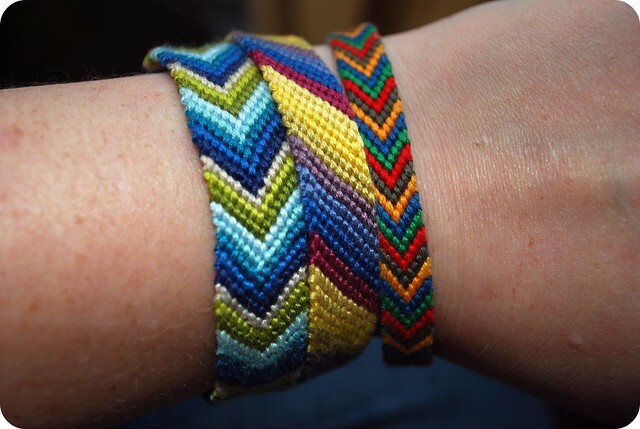 I can so clearly remember taking home the free, peel off instruction sheets on how to make the various bracelets from the Piece Goods Shop at the mall in about the 4th grade. I worked for hours on them, and would use my allowance to go back and buy more of the colorful floss to make more and more. I never really thought of it as doing a craft back then, but now I think about how these were part of my start in loving to make things for myself and other people. Plus, they’re super fun. And I make way good ones. AND, if you’re my friend, I just might make you one! I’m starting to learn that good things really do come in small packages. 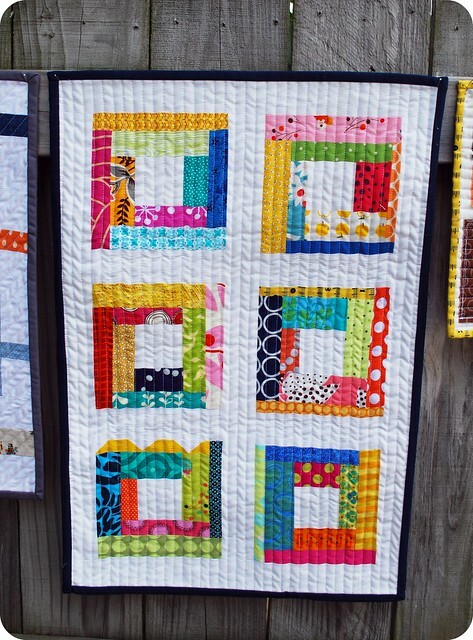 Even small quilts are really, really good. In fact, it’s as good or even almost more gratifying than a large quilt right now. 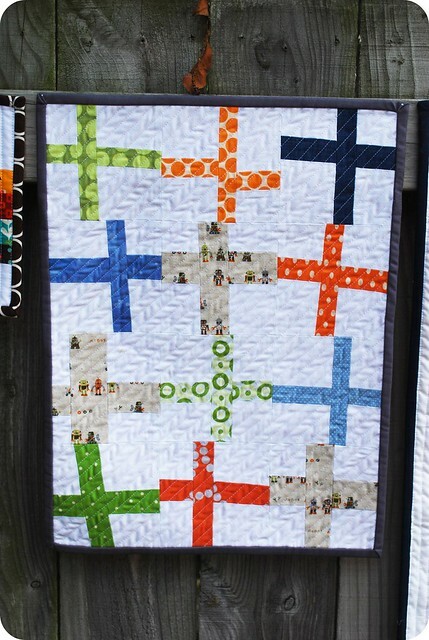 I’ve been wanting to do more quilting for a while now. The problem is, I never seem to finish what I start. I have more quilt projects than I’d like to discuss that are sitting in the unfinished pile that just sit and wait for me to have more time to commit to them. But when I have so much other sewing to work on (I have three upcoming, two day craft shows that kick off next weekend). I just can’t justify working on my bigger projects. And I SO want to. Instead of pulling out bigger projects, I’m starting small. 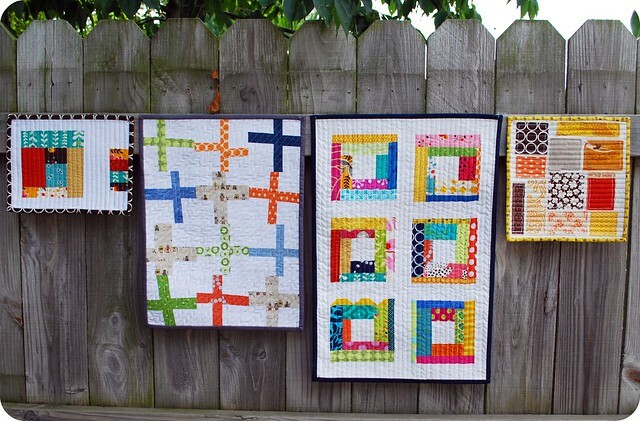 I can still quilt, but I can finish a project in a day, or, even better, a few hours. I’m planning on taking them to my upcoming shows, but I haven’t decided if I’m going to try selling them or not. I just think they’ll look great hanging above my table. Now, instead of people coming to my tent and then walking away and then thinking to theirselves, “oh, look at all the mediocre bags and pouches,” they’ll say “oh, look at all the mediocre bags and pouches AND QUILTS.” And then they’ll walk away without stopping.